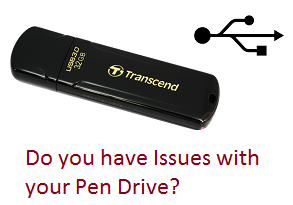 You may have come across the issue of showing your pen drive blank even with having data stored recently. When you right click on the USB drive it shows the MB’s filled but while you open it shows blank! Wait, it is a virus thing we are talking about. In such case try to run following command. Just replace 'h' with your drive location. Hope it worked. Try local windows settings - Sometimes virus converts files to appear as system files. Do the following. Unselect "hide protected operating system files (Recommended)"
These recovery software can recover accidentally deleted files, files missing or not showing up due to virus issues etc. Most of the time if data clusters have not been replaced with the latest data or overwritten, they can be recovered easily. In-depth search can get most of the missing data back safely. Also see How to use Recuvato recover accidentally deleted files. iCare Data Recovery is yet another software which will help you recover deleted files from all type of discs. It is a rather best solution when the error shows up as 'not formatted error'. Sometimes windows do not recognize the drive even after inserting healthy or new pen drive into USB slot. Solution - Go to Start > Run type diskmgmt.msc and Enter. Select USB drive, right click and change the letter and path. Change the drive names and letters as per your choice. Select the drop-down menu letters and clean their pre-allocation. Once done, your computer will surely recognize the new pen drive after reboot. It also appears as 'USB devices not charging properly' or they do not show up at all. Solution - Press Win + R button and type devmgmt.msc and enter. Your devices will show up in Human interface devices or Universal Serial Bus Controllers section. Just expand it and they will be shown up. Right click on 'USB Mass storage device' and click on properties. Go to Details tab > Device instance path > write down the listed entry in wordpad or notepad. Again go to run > type regedit and enter. In right of Device Parameters key look for DWORD named EnhancedPowerManagementEnabled - must show '1'. Double click and make it 1 if it is '0' by default. Restart the computer and it must work. Most of the time computer gets affected with autorun with external drives. This is mostly occurring phenomenon due to multiple and unsafe location logins. If you have installed antivirus and it has successfully cleaned virus from pen drive, still you may get a message such as "Unable to open pen drive or getting open with a warning". This may happen due to the fact that the autorun entry for that virus is still present. This usually happens when some or other files from the drive are still being used or using the computer temporary memory. Wait for some time or force stop the usage of the drive. In such case, your running files from USB drive needs to be unlocked. Try using this software (USB Unlocker) which will list all running programs and force them to stop. MyUSBOnly is great software which instantly notifies you when some unknown device is connected to your PC. After installing MyUSBOnly whenever a drive is connected it will ask a password to proceed. The first time it has default password as 000 and all you need to do is to reset it once. Later on just add the drives list into a safe list and a program will give you device usage log every time USB is used.